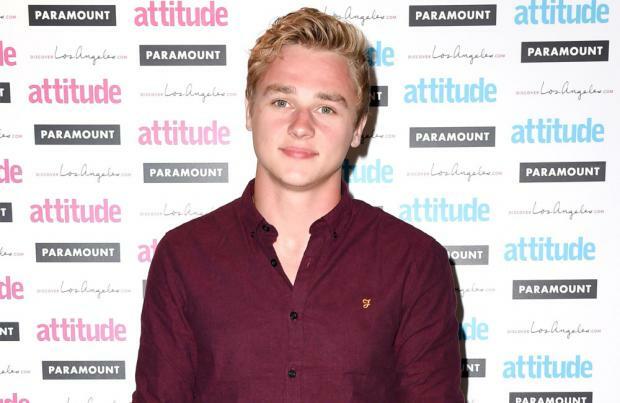 Former 'EastEnders' star Ben Hardy has confirmed he is to star in upcoming superhero blockbuster 'X-Men: Apocalypse' and has admitted the auditions process was "tough"
Ben Hardy says it was a "tough" process landing a role in the 'X-Men: Apocalypse' movie. The former 'EastEnders' star - who played Peter Beale in the soap - has confirmed he is starring in the new superhero film and says it took months of auditions for him to join the star-studded cast which includes Jennifer Lawrence, James McAvoy and Michael Fassbender. Speaking to The Sun newspaper, he said: "It was a long old process. It was tough going, so when I got the part it was a huge relief." Ben has been back and forth to Los Angeles on several occasions since he first tried out for the film but he hasn't been too impressed with the buildings and streets of the city insisting it reminds him Albert Square. He said: "LA is big, although Hollywood's not as glamorous as I thought, it's kind of grungy. It's not too much of a leap from 'EastEnders' in that sense." Ben's currently unknown part in the big screen blockbuster will be his first role since leaving 'EastEnders' following the conclusion of the 'Who Killed Lucy Beale?' storyline which gripped the nation and ended with a series of live episodes in February. The 24-year-old actor is very proud to have played a big part in the plot and is still full of admiration for Adam Woodyatt's performance as his on-screen dad Ian Beale in the episodes. He explained: "Adam was incredible. That was scary. It was amazing to be a part of. I'm not sure I'll see anything like his performance for a long time. He got everyone to see his talent, which was great." Waking from a ten-year slumber, Apocalypse (Isaac) enlists Erik/Magneto (Fassbender) in his evil plans. Plenty of superficial excitement but a distinct lack of narrative ambition; with an extraordinary ensemble wasted in a franchise that's run dry of ideas.